Is the Washington Post Coordinating With Democratic Lawmakers? A pair of congressional Democrats are hyping debunked reporting on Koch Industries in an effort to tie them to the Keystone XL pipeline, leading a prominent conservative blogger to suggest coordination between the Washington Post and Democratic lawmakers. Sen. Sheldon Whitehouse (D., R.I.) and Rep. Henry Waxman (D., Calif.) in a letter sent on Wednesday requested large amounts of information about Koch’s holdings in Canadian land above large crude oil deposits and its relationship with the Keystone XL pipeline. 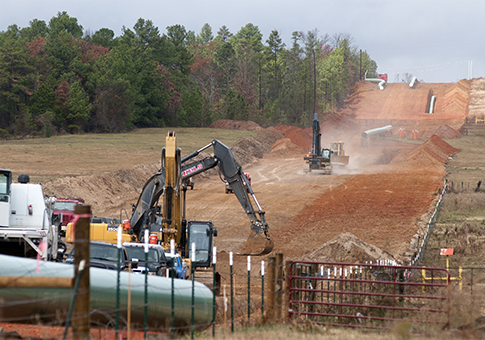 Koch has no connection to the pipeline, has not taken a position on its construction, and would not benefit if the State Department decides to allow the project to move forward. However, Waxman and Whitehouse’s letter cites "mounting evidence that Koch Industries has a financial interest in the Keystone XL pipeline." The bulk of that supposed evidence is attributed to a Post story that falsely claimed that Koch is "the biggest lease owner in Canada’s oil sands" and would benefit from the pipeline’s construction. The Post, which sourced its reporting to a left-wing group that opposes the pipeline, was forced to walk back that claim when Powerline blogger John Hinderaker pointed out the many factual inaccuracies and distortions in its initial report. The paper acknowledged that many of the claims made by the International Forum on Globalization, on which the Post story and the Waxman-Whitehouse letter are based, are factually suspect but defended its decision to broadcast those claims to its readers. Coincidence? Maybe. But it seems likely that the Washington Post article was a put-up job, cobbled together and based on a ridiculous report written, apparently, by a couple of high school-age interns at the International Forum on Globalization, for the specific purpose of serving as the pretense for Whitehouse and Waxman to push the Democratic Party’s talking points. Is this what happened? I don’t know, but we would like to find out. Opposition to the Kochs, who are generous donors to cancer research groups and institutions of the arts, is a key pillar of Democrats’ midterm election strategy. This entry was posted in Politics and tagged 2014 Election, Henry Waxman, Koch Brothers, Washington Post. Bookmark the permalink.